Chocolate palette range. The light, ethereal pastels and nudes captured my heart and with free international shipping on the cards, I discarded the popular Peach and Peanut Butter Jelly palettes in favour of my one true food love, White Chocolate won't mention jelly filled marshmallows. Those who know me know I'm a sucker for novelty cosmetics ie everything Too Faced. On opening this baby, you realise how tiny this palette is, about 3/4 the size of an iphone! It fits snugly in to your pocket/makeup bag, so is perfect for taking on the go, but I can see why some may hold complaint - the little pans are so tiny, it's difficult to get a brush in. This doesn't bother me too much and I find it so cute. I have a huge love of miniatures and find the chocolate chip concept so adorable! Like the other palettes in the Chocolate range, the packaging is shaped like a chocolate bar. It's so gorgeous, with little gold adornments and I can't bring myself to throw the outer box away. 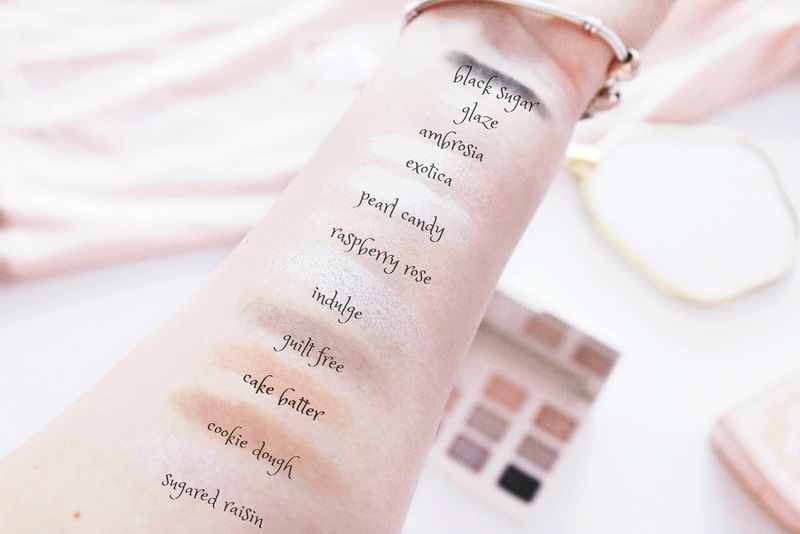 The palette itself features 11 dreamy pastel shades: Ambrosia, Black Sugar, Cookie Dough, Cake Batter, Indulge, Pearl Candy, Guilt Free, Raspberry Rose, Glaze, Exotica and Sugared Raisin. They all sound so delicious! The shades themselves are so delicate and pretty. It will be a disappointment to those looking to create dramatic looks, with bright pops of colour, but perfect for creating magical, ethereal looks with gentle pops of colour and pearlescent shimmer. 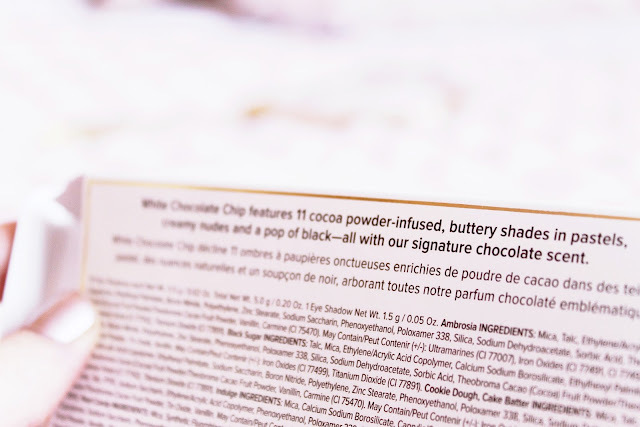 I find the selection of shades so unique and have already a few favourites - Cookie Dough is perfect for the lid crease, especially for those with pale skin, who find darker shades a bit heavy and tend to hollow out the eyes. Indulge, too, is so beautiful and wearable! I do love the selection of shimmers but find that shades such as Indulge, Sugared Raisin and Pearl Candy have a good deal of fall out and are rather messy, so much that the mirror is often covered with a layer of powder. The glitter is quite chunky, compared to shimmers in the other Too Faced palettes, but still feel super soft in the pan. The pop of black, Black Sugar, is an interesting addition juxtaposed with the creamy shades and I enjoy the contrast in the pan, however, does not sit so well with light shades on the skin. It's a little awkward and I'm not sure where to put it! It's definitely best to keep looks simple with this palette, or risk piling on too much shimmer! I love the fact that it smells heavenly, just like the other Chocolate palettes in the range. It smells like chocolate, but perhaps even a little sweeter like white chocolate - or am I imagining it? The palette also comes with a full sized mirror on the inside of the lid, which is really useful - I am so grateful for it on the go. Black Sugar is smoky dark grey with some glitter, Glaze a barely there chalky matte white, Ambrosia a light matte tan, Exotica is a metallic fawn-beige with slight shimmer, Pearl Candy a pretty, frosted, very shimmery white, Raspberry Rose a candy pink with fine gold shimmer, Indulge is a shimmery metallic silver-grey, Guilt Free a lovely matte grey taupe, Cake Batter is a light matte fawn, Cookie Dough a darker, slightly cooler toned Cake Batter and Sugared Raisin is a metallic, shimmery violet. It's such a pretty palette though I personally think it's so small for what you're paying but I'm glad that you like that aspect and find it cute! 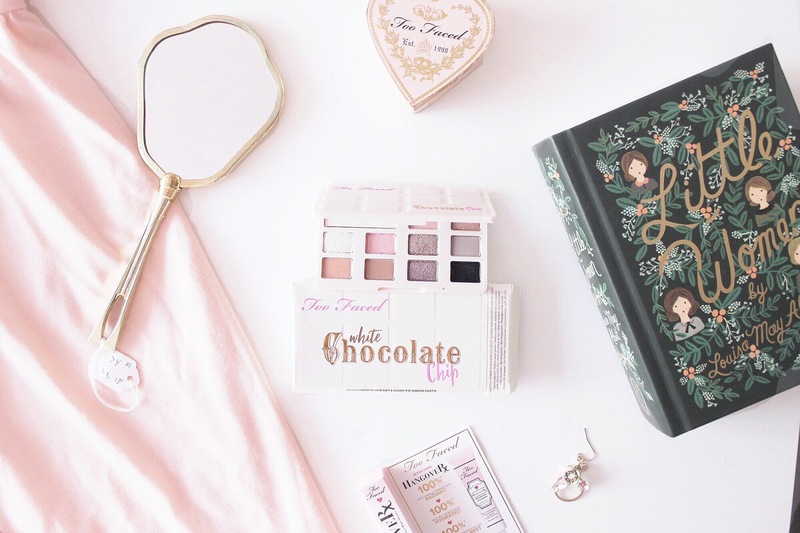 I've never actually had a Too Faced palette but this looks so cute and love the dreamy colours, I'm a bit of a novice at eyeshadow so these light but dreamt colours are definitely something I'll be looking in to! 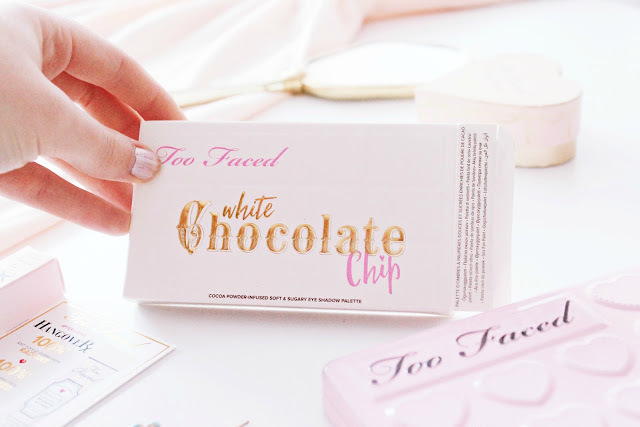 I'm not the biggest fan of Too Faced eyeshadows but I can't get enough of the packaging and have to admit this is beyond adorable. I love the shades included and the look you made with them, stunning. The colours all look beautiful and I love your photography! So cute!! 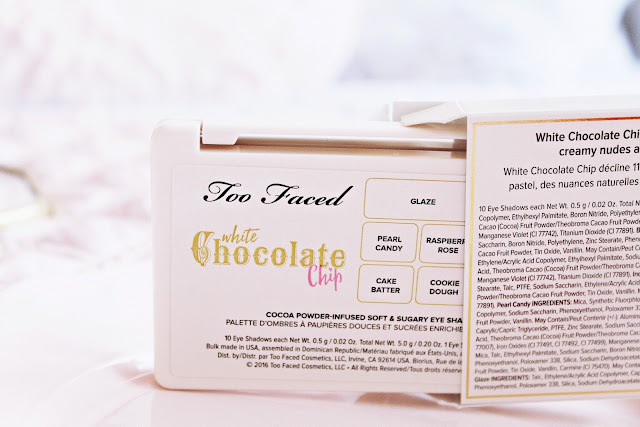 Love Too Faced Products, they're amazing! 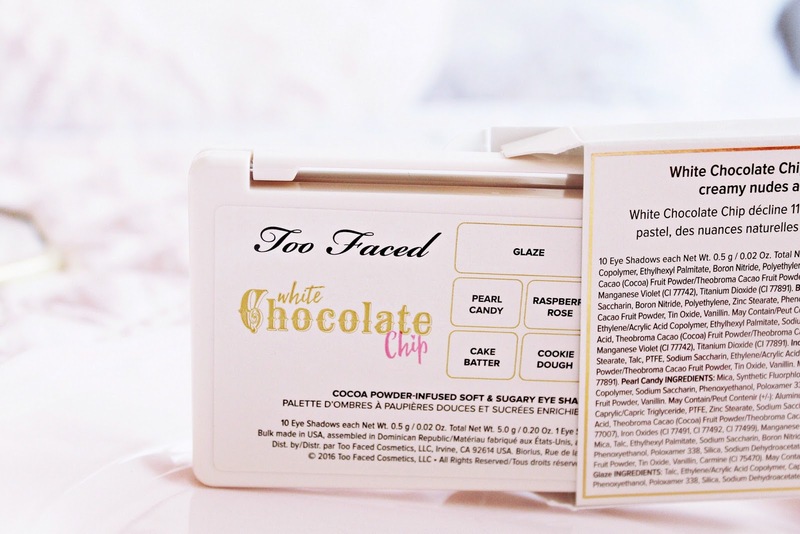 Too Faced always make the prettiest packaging! But the glitter does look super chunky here, not the easier to use and probably not the most long-lasting as well, unfortunately! The shades are really pretty though. That photo with the hand mirror is gorgeous, it was worth the effort haha! 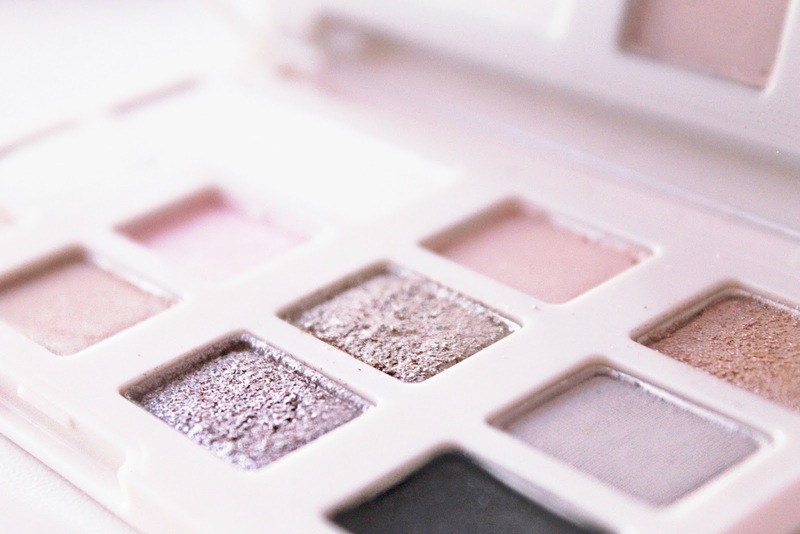 This palette looks BEAUTIFUL! Shame about the size of the pans, they could've easily made them a bit bigger. Thanks for the post, sweets! The palette is the cutest thing I've ever seen, definitely gonna have a look at the TooFaced website after this! I love the post Elizabeth, the photography and colour theme is amazing as per usual! I always love TF's packaging but this one is beyond gorgeous! The shades are very dreamy too. I can see myself rocking these shades on Valentines date! Oh my gosh the colours on this palette are simply beautiful! 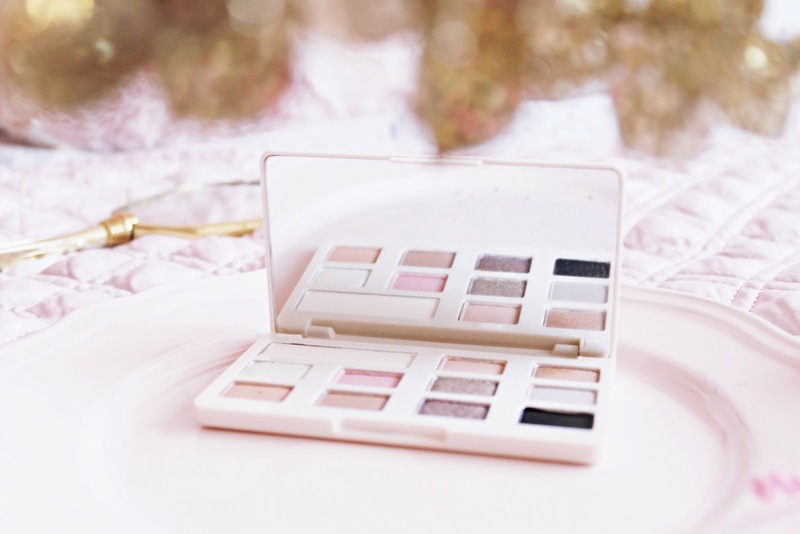 I'm loving these lighter shades... they're perfect for that dolly romantic look! i love too faced but i've actually never tried any of their shadows, these look lovely! Looks pretty but may not be for my medium skintone. This looks perfect for the soft looks u r mentioning. I don't feel impressed with this palette, and I usually love Too Faced Palettes. Plus, I feel like the shades are too light for my skin tone.